A recent article in the Huffington Post addressed the pricing strategy for the Big Six Banks, BMO, CIBC, National Bank, RBC, Scotia and TD and who really sets interest rates. RBC announcing a rate drop in January and the other banks soon followed. For consumers the banks are seen as leaders of the pack and everyone waits to see what else they will do. The reality is the bank rates were higher than the market for some time. The drop in rates was a measure to bring bank rates in line with the non-bank lenders who have already been offering lower pricing. The only difference is the banks have high market share of the business and more profit each year so they can afford to spend money on media and other forms of advertising. The media attention helps them to capture more business with a rate drop after a lag time of passing on higher rates to consumers. The informed consumer working with an independent mortgage broker will already know the market and what mortgage product is best for their needs. 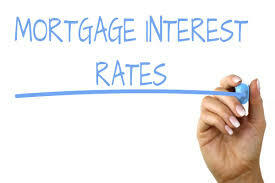 However, interest rates are not the only consideration when choosing a mortgage. Each time you make a purchase, renew your mortgage or take equity out to renovate, invest or other reasons, it is always best to consult with your mortgage broker for a review. One of the big factors is the cost to exit that mortgage before maturity. Life happens. There are costs to breaking the contract early in the event of sale, marital break-up, death or need to consolidate other debts. Bank penalties for early payout are higher than non-bank penalties by a factor of 4 times. By reviewing your needs with your independent mortgage broker we can discuss all of the options available from lenders including bank and non-bank, to ensure you are making an informed decision.